Bill is an experienced technology leader that has developed and implemented technology strategy and architecture across global enterprises. He is respected as a valued business partner with broad experience in delivering high performing engineering teams, effective supplier engineering relationships, new business development opportunities, assessing potential acquisition targets and integrating application portfolios. Bill’s experience ranges from leading Enterprise architecture efforts at Citizens Bank to Raytheon to Fidelity Investments. Bill is the founder of Family Health Portfolio Inc. Family Health Portfolio is a start-up that provides tools to organize, measure and save for families to become better consumers of healthcare. Bill was the Chief Enterprise Architect at Raytheon where he developed an enterprise architecture that enabled technology communities to modernize infrastructure and applications to adapt to an evolving business environment and future challenges. For 15 years, Bill was the SVP of Enterprise Architecture at Fidelity Investment. At Fidelity Bill established the first technology strategy integrated into the business unit 5 year plans. These multi-year plans addressed employee expectations, process to achieve goals and target results for customers with financial results. By using the balanced score card approach and applying it to the technology organization we were able to align key performance indicators across business and technology goals. This enabled clear accountability for all programs to achieve joint goals. Bill also helped raise Enterprise architecture as a discipline across Fidelity in 5 key areas: Business, Application, Technical, Information and Security. By establishing the common language, technical direction and process to manage exceptions this enabled the technology community with their business partners to consistently build applications integrated into the broader enterprise. This open architecture enabled communities to be formed in open source, application server, information security, webservices, etc. 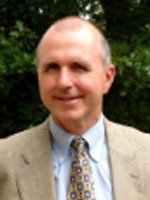 Prior to joining Fidelity, Mr. Stangel held several positions with US technology companies, including Pyramid Technology, Rational Technology, Gould Electronics, Dow Jones & Co., Inc., and Essex Microsystems Inc.
Bill has an MBA from Babson College and a BS in Management Information Systems from West Virginia Wesleyan College.